Fabulous baby or baby shower gift idea! 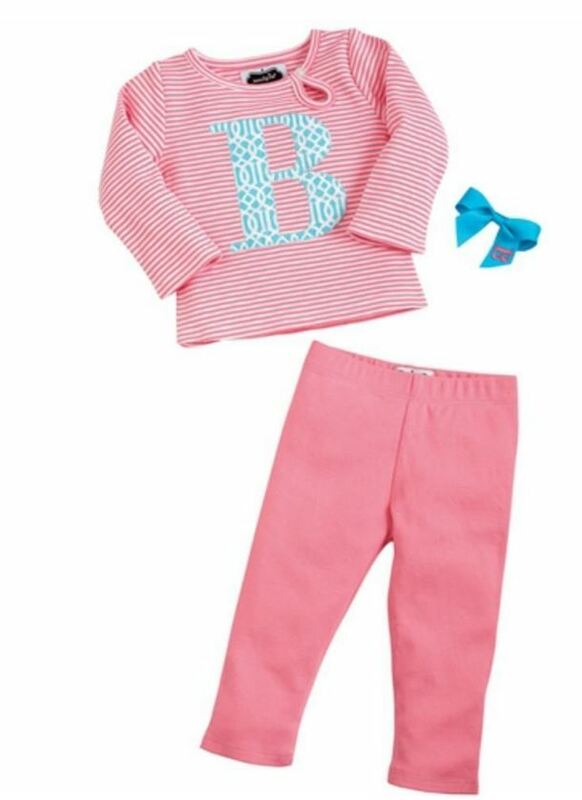 Initial appliqued 3-piece cotton layette set. Cotton interlock tunic features printed poplin initial appliqu� and key hole front with legging and detachable hair bow. Comes with cotton interlock leggings. Arrives in corrugate gift box. Choose letter. 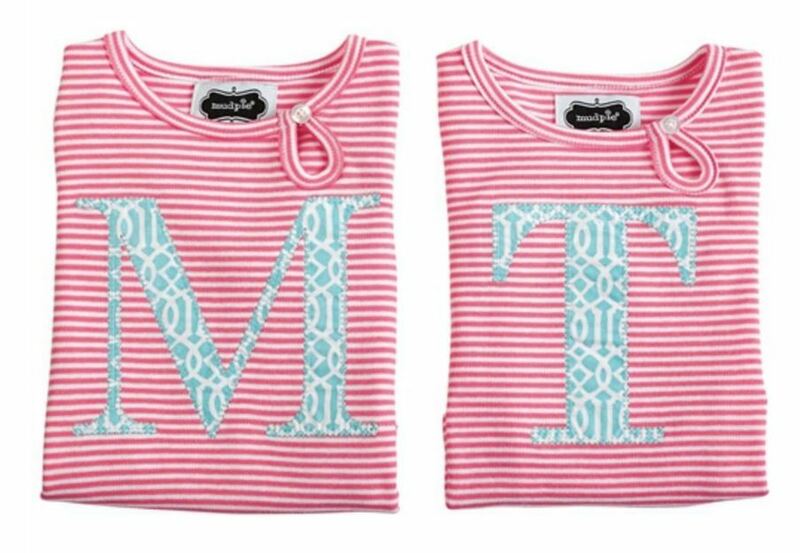 One size 0-6 months. In 100% cotton. Machine wash.